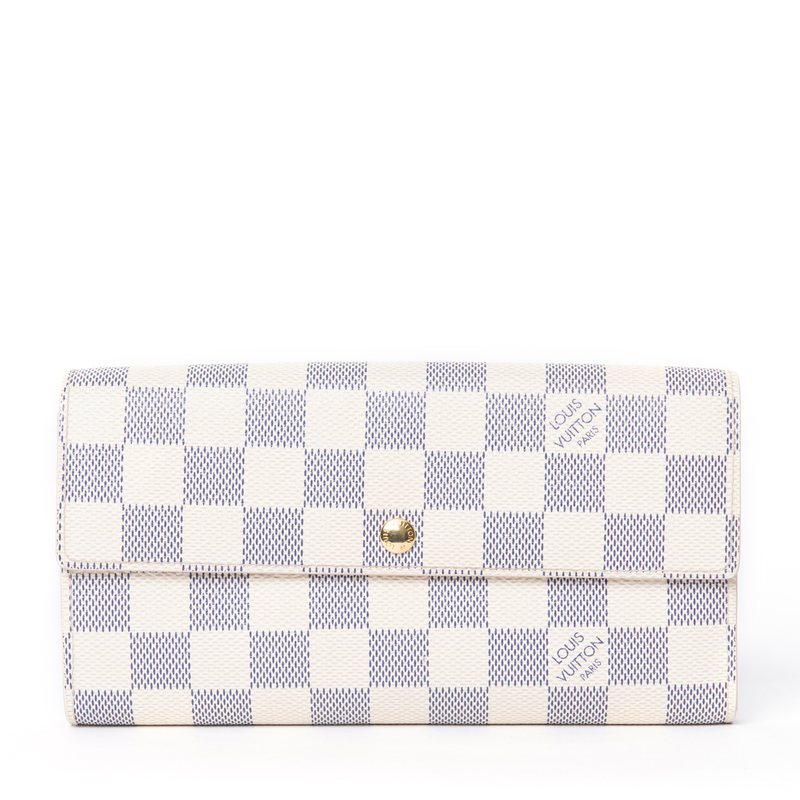 Sarah is one the most famous style of wallets by Louis Vuitton. 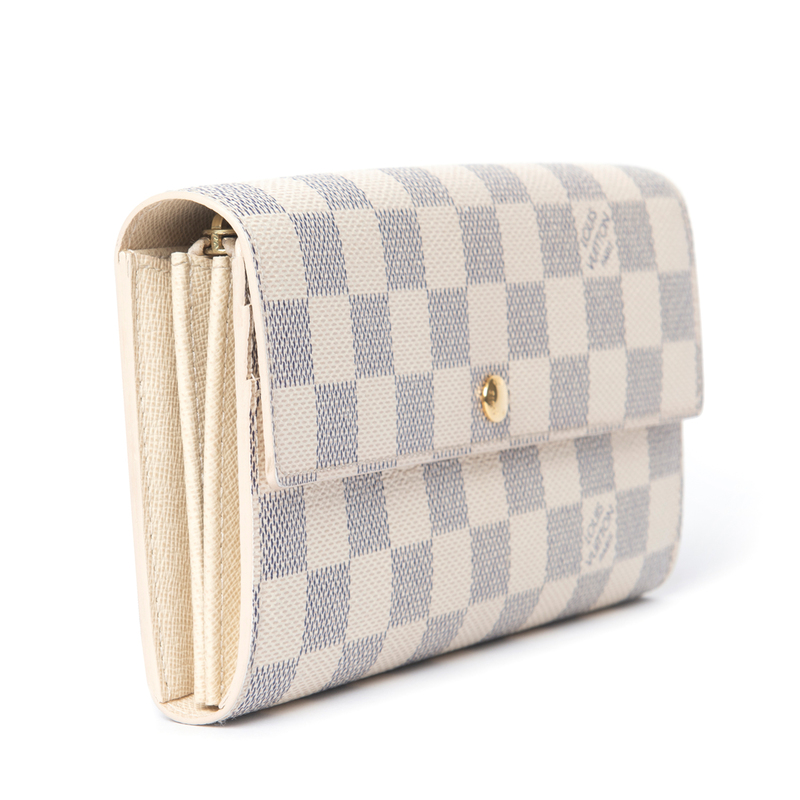 Made from Damier Azur canvas, the buttoned closure opens to an expanse with multiple card slots, open compartments to arrange currency and a zip coin pocket. 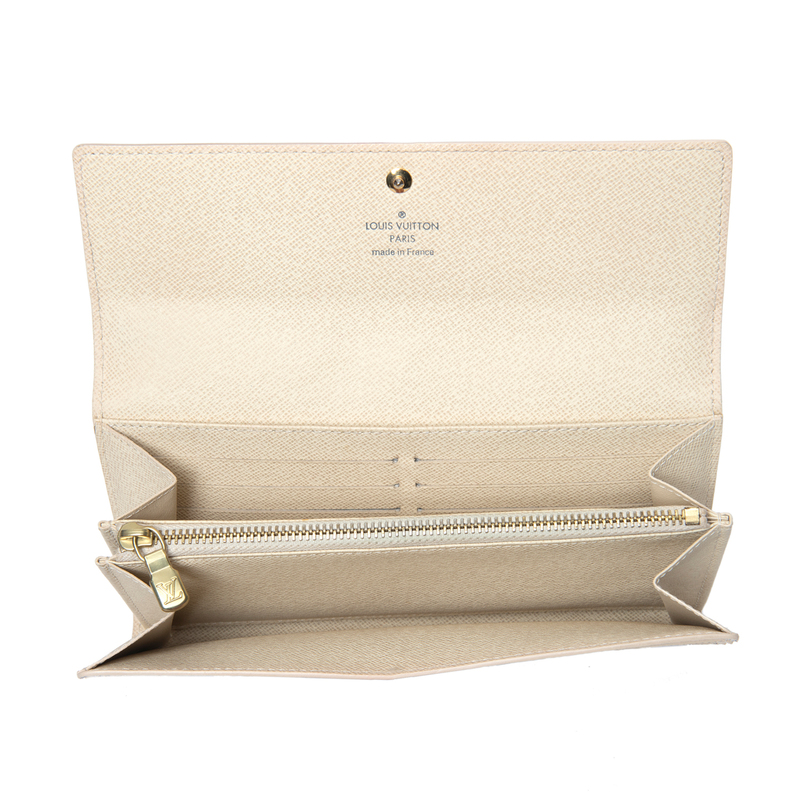 The elegant wallet has gold tone hardware. This delightful piece will always be a popular and timeless classic. 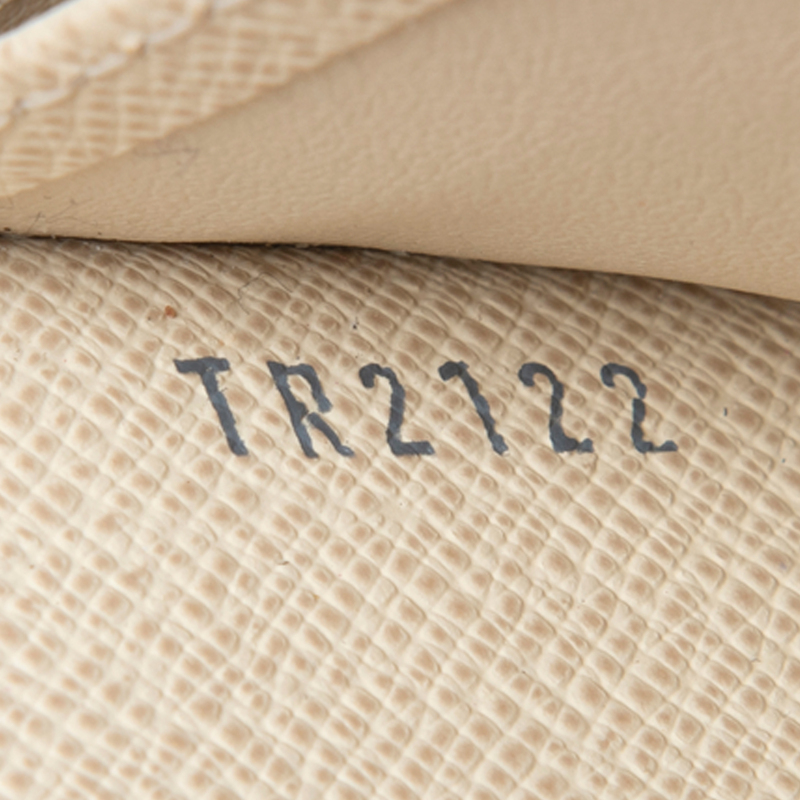 The leather lining in the interior zip compartment is slightly dirty. Otherwise, this wallet is in excellent condition. 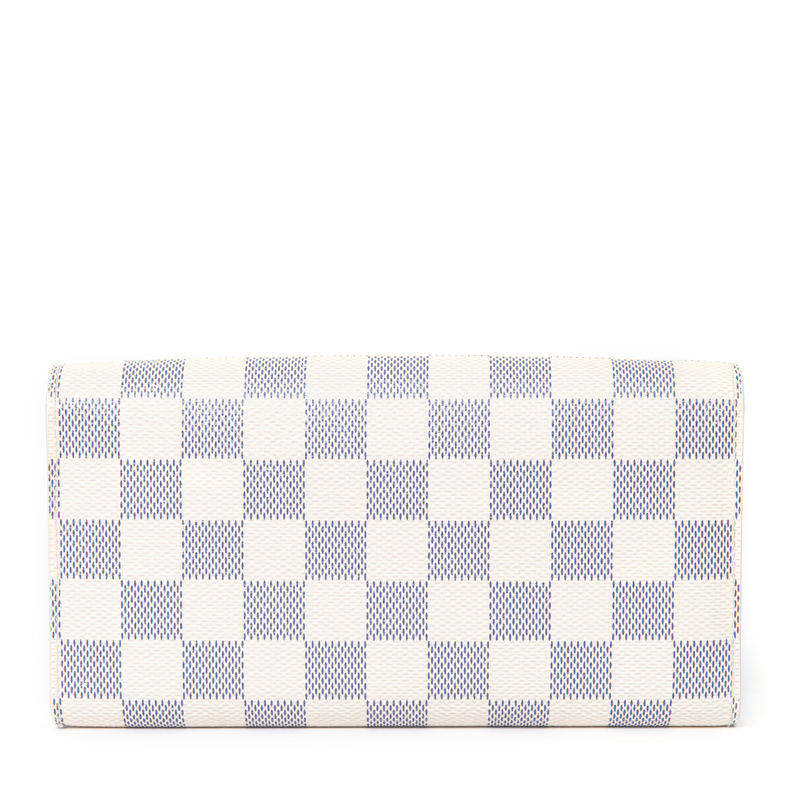 LabelCentric is not affiliated with Louis Vuitton. 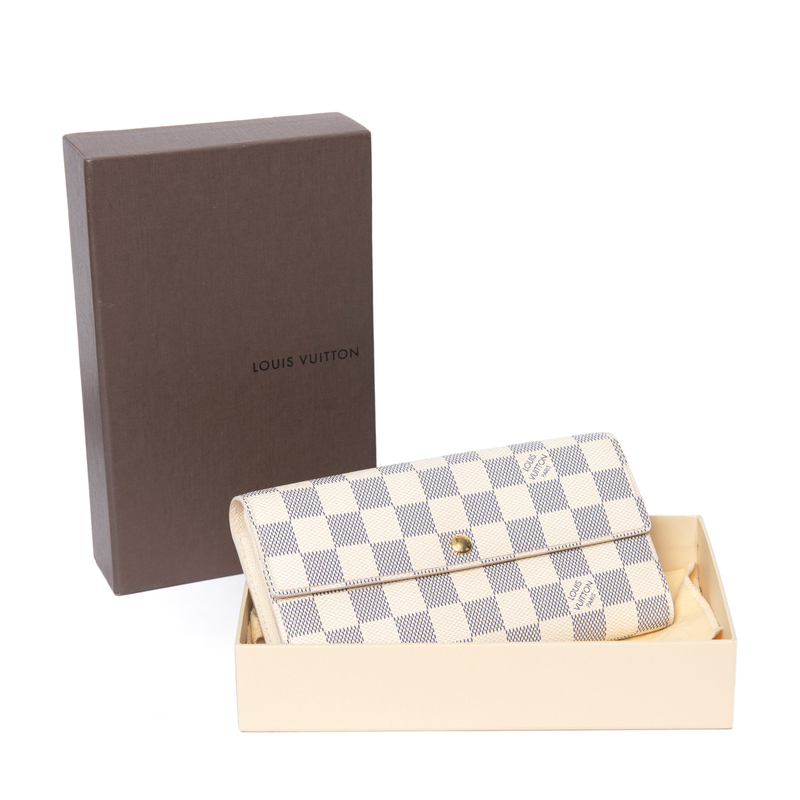 We guarantee this Louis Vuitton item to be authentic ( find out how ). Louis Vuitton® is a registered trademark of Louis Vuitton.